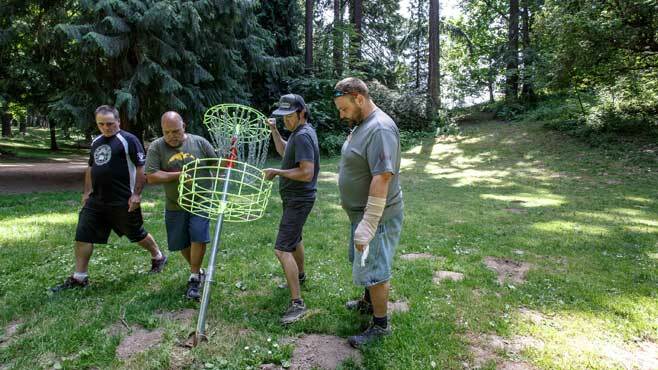 Disc golf course installation is fundamentally a very straight forward process, and normally tee signs, tees, and baskets can be installed with hand tools or basic rental equipment. 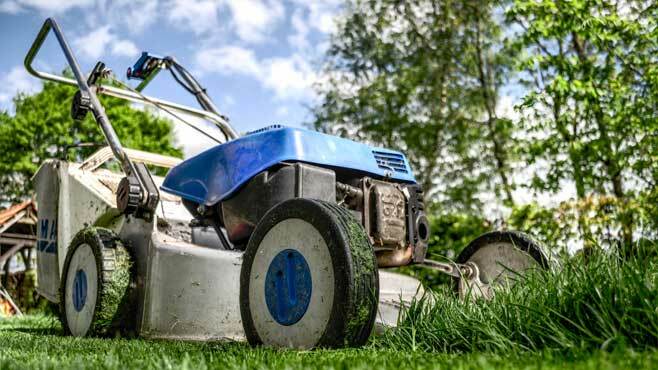 If grounds staff are available then they will have the experience and equipment necessary to get the job done efficiently, although a large scale project can benefit tremendously when there is volunteer and local club involvement alongside. For the do-it-yourself installation, volunteers and the local disc golf club are the most important asset. Installing the course with volunteers and/or the local club can build support for the local course and create a very positive feel-good factor in the local disc golf community, and it’s great for press and sponsor opportunities! Digging holes for cementing basket anchors or poles can be done with hand tools like a post hole digger or portable auger. Some grounds staff may have a mini digger with auger attachment to speed things up. Textured concrete tee pads aligned with the centre of the fairway create both an ideal surface for players to throw and add to the appeal and functionality of a course. For simpler tee pad installations, other tee surfaces are available. Some preparation of the landscape in line with the course design is usually required in order to make the course playable and accessible throughout the year. A well prepared course is a pleasure to play and will attract repeat visitors.